High-grade appearance: Double color splicing. Soft and light-weight cords, with transparent coating on the outer layer, make the wires more durable, stronger, dirty and less tangled. Ergonomically designed and soft silicone earplugs give you a comfortable wearing experience. 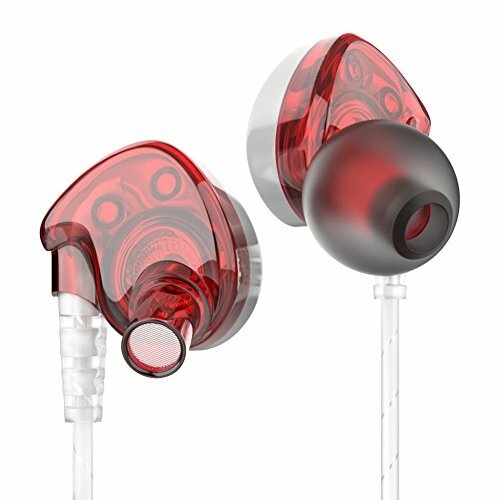 High-performance, noise-insulated earbuds eliminate most of the ambient noise and allow you enjoy clear, high-quality music. Multi-function button: 1 click: play|pause|answer/end call, 2 click: next track, 3 click: previous track. Built-in high-sensitivity microphone, hands-free calling, you can talk and enjoy uninterrupted music anytime, anywhere. Ideal for exercise and fitness. Compatible with all 3.5MM audio jack smartphones: iPhone, iPod, iPad, Android Smartphone and Tablet, Windows Smartphone and Tablet, MP3/MP4 Player and more devices. If you have any questions about this product by WSCSR, contact us by completing and submitting the form below. If you are looking for a specif part number, please include it with your message.